NEW!! AT&T Prepaid Apple iPhone SE - 32GB - Space Gray "SEALED IN THE BOX"
Trending at ILS 841.79eBay determines this price through a machine learned model of the product's sale prices within the last 90 days. Trending at ILS 1,570.61eBay determines this price through a machine learned model of the product's sale prices within the last 90 days. I have two jet black iPhone 7's that are previously used but in excellent shape. When they were used, it was with a case and so there are very minor signs of wear and tear. Overall, almost as good as new. Trending at ILS 610.80eBay determines this price through a machine learned model of the product's sale prices within the last 90 days. APPLE IPHONE SE 32GB Factory Unlocked Rose Gold. This handset has been fully tested to ensure its fully functional in all aspects and ready to be used with any nano sized sim card from any Network across the globe. 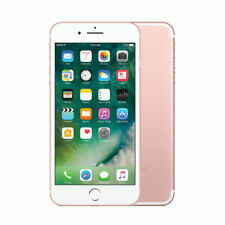 Apple iPhone 6S 16GB, 64GB Space Gray, Rose Gold, Gold, Silver, GSM Unlocked iOS125. A1864 (GSM & CDMA). (Keep in mind that the model A1864 does not always work on Verizon. Call them with the. Apple iPhone 8 Plus 64GB. It is unfair to people who really want the phone. Perfect if you are traveling Internationally. ). Immaculate condition iPhone 7 128gb silver. No scratches or dents. Always had a tempered glass screen and case. Excellent condition. *Originally factory unlocked from Apple Store! * Apple iPhone 6s Plus - 64GB - Space Gray (Unlocked) A1634 (CDMA GSM). Factory unlocked usable on ALL services. Never damaged. Adult owned. Smoke Free. Gently used in case at all times. See photos. Condition is Seller refurbished/used. Excellent battery life Comes with original box only. Shipped with USPS Priority Mail. Model A1778. Apple Iphone 7 32GB Factory Unlocked GSM Unlocked 12MP 4G LTE Smartphone. As well for worldwide GSM Carriers. WILL NOT WORK WITH CDMA CARRIERS SUCH AS VERIZON/SPRINT. Voice over LTE (VoLTE ). Trending at ILS 1,433.97eBay determines this price through a machine learned model of the product's sale prices within the last 90 days. Face ID ancora più veloce. iPhone XR. 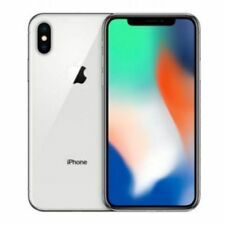 Il nuovo LCD di iPhone XR è il più evoluto del settore. A12 Bionic. Processore Hexa-Core Apple A12 Bionic, 64 Bit. GPU Apple GPU. USB Propietary 3.0. Bluetooth 5.0 con A2DP/LE. Condition is Used. LCD never changed since bought as i never drop this and always in a anti slip casing. original headphone. Apple iPhone 6s Plus. iPhone 6s Plus: 2750mAh. Storage can be checked in our antutu photos and it's less than specification data. We can't accept dispute for ROM / RAM data difference. 1x Original Apple iphone 6s Plus 5.5" cell phone(NO fingerprint sensor). APPLE IPHONE SE 32GB Factory Unlocked Space Grey. This handset has been fully tested to ensure its fully functional in all aspects and ready to be used with any nano sized sim card from any Network across the globe. Condition is Used. 3 minor imperfections:-. Trending at ILS 562.78eBay determines this price through a machine learned model of the product's sale prices within the last 90 days. iPhone is in used but fully functional condition. Shipped with USPS priority. Apple iPhone 7 32GB Rose Gold (GSM Unlocked). Q: Are Verizon devices unlocked?. A: Most 4G LTE Verizon devices are GSM factory unlocked, but not all. Q: Is a SIM Card included with the device?. A: Unless otherwise specified, we do not include SIM Cards with our devices.